WASHINGTON (Reuters) - Republicans in the U.S. Congress plan to renew their attacks on President Barack Obama and his signature healthcare plan on Tuesday when they grill a consultant who said "the stupidity of the American voter" helped ensure the law's passage. 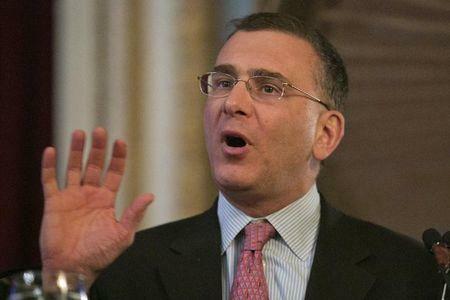 Representative Darrell Issa, chairman of the House Oversight Committee, said panel members will ask consultant Jonathan Gruber about possible deceptions and a lack of transparency in the 2010 Affordable Care Act, better known as Obamacare. Republicans have seized on videos in which Gruber, a healthcare economist at the Massachusetts Institute of Technology and an Obamacare consultant, says the law was written in a "very tortured way" to hide taxes, and passed thanks to "the stupidity of the American voter." Issa said the public deserved an explanation from Gruber at Tuesday's hearing. "If you can't trust what he says, and what he says he'll do, to get votes and trick the American people into voting for something, then can you trust his analytics?" Issa said of Gruber. "It is our job to see that the administration is working to run the country and that they are reporting honestly their successes and their failures,” he told Reuters. Republicans say Gruber's comments show the administration deceived Americans as it pushed the law through Congress. Americans For Prosperity, a group backed by the billionaire Koch brothers, used Gruber's comments to attack Democrat Mary Landrieu in the runoff for the Louisiana Senate race. Democrats have distanced themselves from Gruber. Obama referred to him as "some adviser who never worked on our staff" who "expressed an opinion that I completely disagree with." Representative Elijah Cummings, the top Democrat on the House Oversight panel, called Gruber's comments "very unfortunate." He said he would use the hearing to talk about the benefits of Obamacare. "To spend hours upon hours of time trying to get (Gruber) to explain himself, to me it does not insure one more person, it does not help heal anybody, and it doesn't do anybody any good. We're wasting our time," Cummings said. Republicans also want to question an administration official about inflated enrollment figures for Obamacare. Marilyn Tavenner, the Centers for Medicare and Medicaid Service administrator, testified to Issa's panel in September that 7.3 million people had signed up for coverage, but those numbers were too high by about 400,000. She has been called backon Tuesday to explain what happened.